Keeping your gutters clean helps them work better. However, you might notice some odd stains on your gutters begin to spread out onto the rest of your home’s exterior. These stains run vertically up and down on your gutters and can drag down your curb appeal if you don’t do anything about them. To that end, here is a quick guide on how to keep your gutters free of stains. Keeping your gutters clean helps them work better. When you see the stains known as tiger stripes for the first time, you might not know how to deal with them. However, it’s pretty simple: get some ordinary detergent and use it to clean the stripes off of your gutters. You can look for detergent brands specifically formulated for use on a residential gutter, and these substances should work. If you’ve neglected to clean your gutters for months or even years, though, then this first solution might not be enough to make a difference. 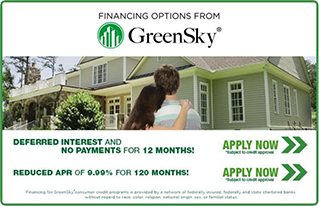 If the detergent doesn’t cut through the grime on your gutters, then you will need to move and try something else. While in general, you want to stick to non-abrasive cleaners, sometimes, that won’t get the job done. This is because the tiger stripes have had enough time to grow and take over your gutters the same way weeds can slowly invade and choke the grass in your yard. To do with the more stubborn forms of staining on your gutters, you will need to try a stronger cleaning method. Some all-purpose cleaner might be what you need, but you also need to be careful when you go to use it. One reason you have to be cautious is that you don’t want to hurt yourself. You also don’t want to hurt anyone who is helping you clean out your gutters. Either way, be sure not to use any cleaning substances that are too harsh. Avoid anything that has ammonia in it, and don’t give in to the urge to use paint thinners or something similar. Softer brushes and cloths actually make a huge difference, even though you might think that they aren’t effective. 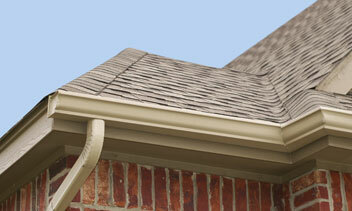 You don’t want to damage your gutters by accident, but even if you do, then it could be a time for a replacement. This entry was posted on Tuesday, February 12th, 2019	at 1:24 pm	and is filed under Gutters . You can follow any responses to this entry through the RSS 2.0 feed. Both comments and pings are currently closed.